Samsung today announced its new curved QLED display ahead of CES 2018. 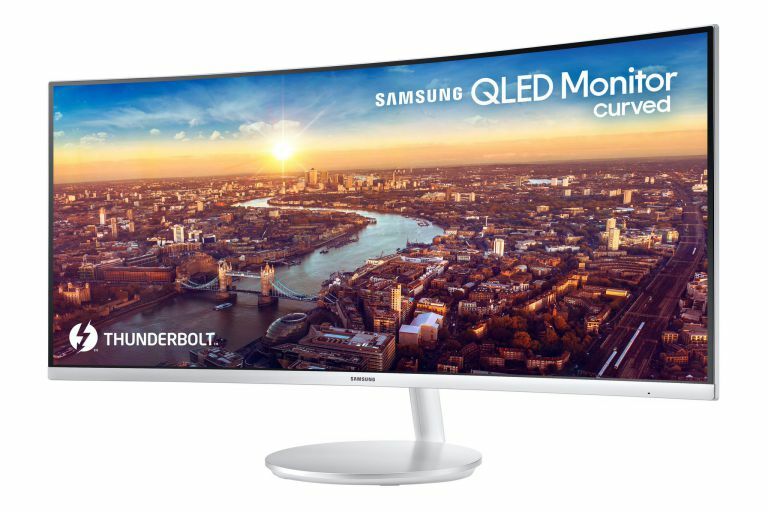 The new QLED curved monitor(CJ791) comes with Thunderbolt 3 port (speed up to 40 Gigabits per second.). The Thunderbolt 3 allows both receive video from the laptop and charge it with up to 85W of power without the need for an additional power source. Samsung has yet to disclose the full specs, price, and availability of the CJ791. Recently, LG also released it’s 34-inch ultra-wide 5K monitor.